Thanks to everyone who shouted, tweeted, shared and commented on my first ever Giveaway for TIED. 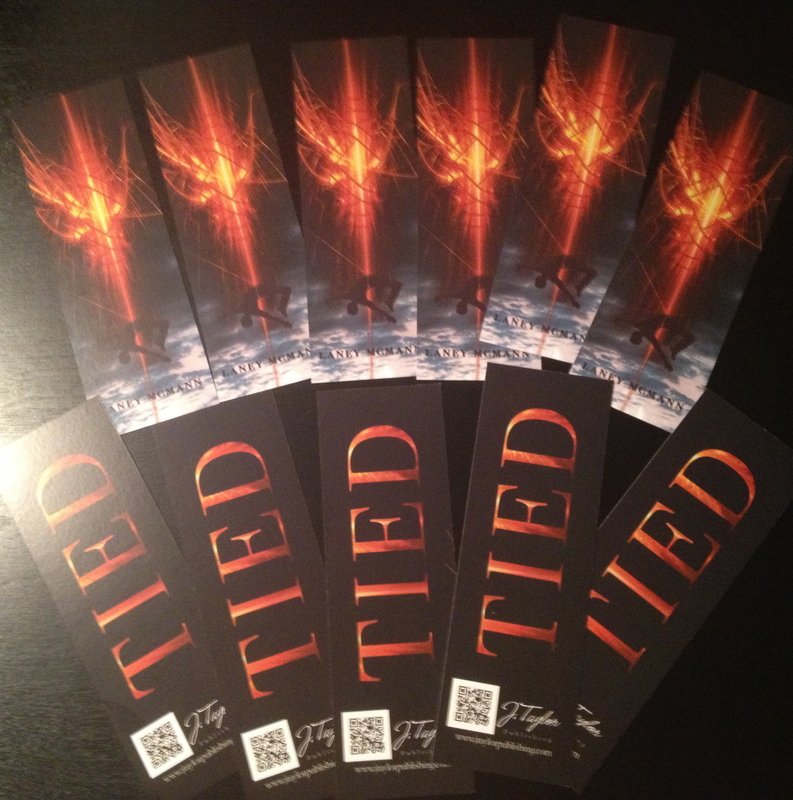 Your bookmarks will be mailed out tomorrow. And stay tuned for another exciting reveal soon!! TIED comes out September 9th! This entry was posted on May 3, 2013 by Laney. It was filed under A Fire Born Novel, Fire Born Updates, Giveaways, J Taylor Publishing, TIED, Upcoming Releases, Young Adult Novels and was tagged with J. Taylor Publishing, laney mcmann, The Fire Born Novels, TIED, TIED by Laney McMann, young adult book releases 2013, young adult paranormal romance, young adult urban fantasy.